Bechara Choucair, MD, is senior vice president and chief community health officer at Kaiser Permanente, the largest integrated health system in the United States. At Kaiser Permanente, he oversees the organization’s national community health efforts and philanthropic giving activities aimed at improving the health of its 12.2 million members and the 68 million people who live in the communities it serves. 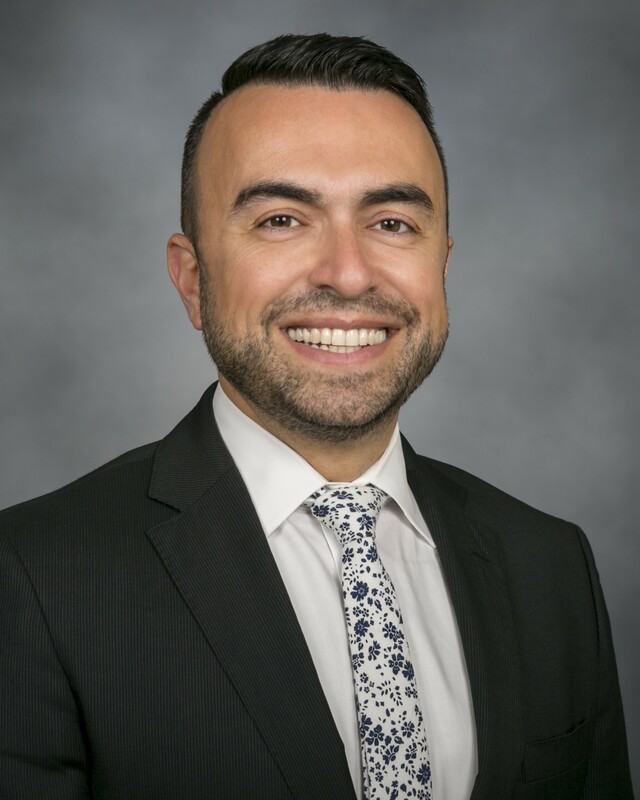 Prior to joining Kaiser Permanente, Dr. Choucair was the commissioner of the Chicago Department of Public Health for five years before serving as senior vice president of Safety Net Transformation and Community Health at Trinity Health. In 2018, Dr. Choucair was named #10 on Modern Healthcare’s listof the 50 most influential physician executives and leaders. I was born in Lebanon and grew up in the middle of a nasty civil war that claimed the lives of tens of thousands of people, including people I loved. This led to my desire to make the world a better place, which drove me to study medicine. At times, I remember questioning whether I was really doing enough, and I regularly struggled with the limitations of my own impact. I immigrated to the United States in 1997 and started training to become a family physician in a program focused on caring for people living in poverty and facing homelessness, many of whom were also immigrants. In the beginning I was optimistic, full of hope that my medical training was all that these patients needed. And a few years later, I met Judy. She was charming, engaging and always had a story to tell. On the surface, her ailments were straightforward. Aches and pains, minor infections and some obvious symptoms of her years of substance abuse. But as we talked more, it became clear that her challenges ran deeper. Her mental health challenges got in the way of holding down a job, and her chronic unemployment made it impossible to get the right health care. The care I could provide wasn’t ever going to break this vicious cycle. The help she needed wasn’t going to come from within the walls of a clinic. One afternoon in the clinic with Judy gave me the answer. As usual, we discussed her health issues: anxiety, depression and addiction. Then she told me what she was really worried about: finding a place to sleep on that frigid winter night in Chicago, and whether or not she’d freeze to death. We built lots of connections with social service agencies in our clinics to try to connect folks like Judy with resources, but it never felt like enough. Each time she left we both knew there was a chance she wouldn’t come back. One day, I got word that someone had frozen to death in a park near the clinic. When I found it was Judy, it broke my heart because it was preventable but out of my reach. I couldn’t write a prescription for homelessness. Helping the Judys of the world would require broadening my practice from individuals to communities. We have to support entire populations, the systems that impact them, and the entire communities in which they live. I shifted my focus from patients to policies, from office hours to organizational impact. And I began looking for partners in my new “practice,” recognizing that no doctor could do it alone. In order for people to thrive, they need total health. Total health is more than freedom from physical affliction — it’s about mind, body and spirit working together in unison. Total health cannot happen without community health. Because while a community cannot be healthy if its people are not healthy, people cannot be healthy if their community is not healthy. “If you listen to people’s stories you’ll be the best doctor in the world.” My grandmother told me this when I was in medical school. Everyone has a story to tell and we need to listen. At Kaiser Permanente, we ask our members if they’ve had to skip a meal lately, if they can afford their medications, and if they have reliable transportation. When physicians ask these questions, the answers tell us as much about their future health as their blood pressure will. Have the courage to challenge the status quo. What if more of us thought about changing systems with the same fervor that we treat symptoms? Tackling the root causes of health means not shying away from advocacy and policies that have the potential to help people before they find themselves in our waiting rooms. Climate changes health. As health professionals, we have an obligation to also address big-picture factors that are impacting health. This includes climate change. We must mitigate climate change to limit the impacts from frequent extreme weather, impacts like physical and mental trauma for those affected. Embrace technology and dive into data. We can now build a 3D printed house in a day. Can that help end homelessness in our lifetime? New datasets can track student trauma. Can that inform school solutions to ensure the mental health of kids? The Internet of Things already connects more than we realize. Can it offer new independence to seniors? Health care providers need to ensure that innovation reaches out to make communities healthier. I cannot overemphasize the need for more of us to share our stories. Too often patients and under-served populations feel isolated and alone, afraid to open up for fear of judgement, or worse. Being honest about our own experiences can change that dynamic privately and publicly. A pregnant teenage girl needs to know she’s not alone. A transwoman needs to know that we see her. Our own experiences with mental health can help normalize treatment. I think it is important to share my journey, especially as an immigrant. English isn’t my first (or even my second) language so by the time Friday rolls around my accent sounds more like I’m living in Beirut than the Bay Area. Even in a diverse organization or in big cities, I’m often still the only person in the room with a name nobody can pronounce. So, I share. I talk about what it was like growing up in a warzone and arriving to this country as an immigrant. When speaking with someone who is experiencing homelessness, I share my experiences in Chicago to let them know they are not alone. I’m also proud to be the Executive Sponsor for Kaiser Permanente’s LGBT Business Resource Group to create more safe, open spaces. My mother expected me to move to America, practice as a physician and treat patients. When I took the role as director of the Public Health Department in Chicago, I shifted my focus to policies, systems, and environmental changes to improve community health and access to care. After a television interview, my mother called to approve of my haircut and my nice tie, but said she wondered why I had stopped being a doctor and stopped treating patients. I suppose working to “heal communities” is a bit trickier to explain — and, to justify to parents who paid for seven years of medical school. Though recently, my sister sent a photo of a bike sharing program sponsored by Kaiser Permanente to our family group chat. My mom saw our logo on a bike and it’s starting to click. Her son tries to keep communities healthy, just like he used to do with patients. Housing. Housing is health. Long-term affordable housing is the foundation for individual and community health. No parent should have to worry about where their family is going to spend the night. All the fresh produce in the world can’t support health without a kitchen. Communities can’t thrive when their residents don’t have the stability of home. At Kaiser Permanente, we’ve created the Thriving Communities Fund to make specific impact investments that address key social issues and have an impact on health, like housing stability. With a financial commitment of $200 million, we are focusing on affordable housing preservation as well as neighborhood revitalization efforts.